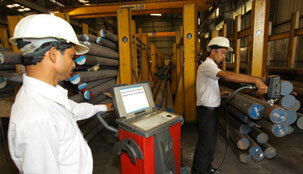 State-of-the-art Ring Rolling line with Robotics which can roll crown wheels upto 500 diameter and 200mm in height. State-of-the-art fully automatic Robotic line with Induction Heater having accept / reject mechanism. 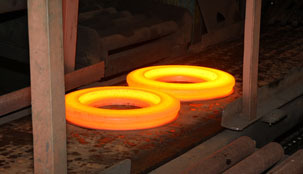 In reject mechanism - High and Low temperature both are available. 1.2 Million Jobs in a year. 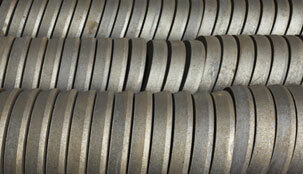 CNC Raw Material Cutting - 2 Nos. from BERINGHER. MERW along with 2000 Ton Hydraulic KRP Press from SMS Meer - Germany. 4 Ton per Hour Iso Annealing Line with Gas & Electric Operation along with Hot Charging Facility.